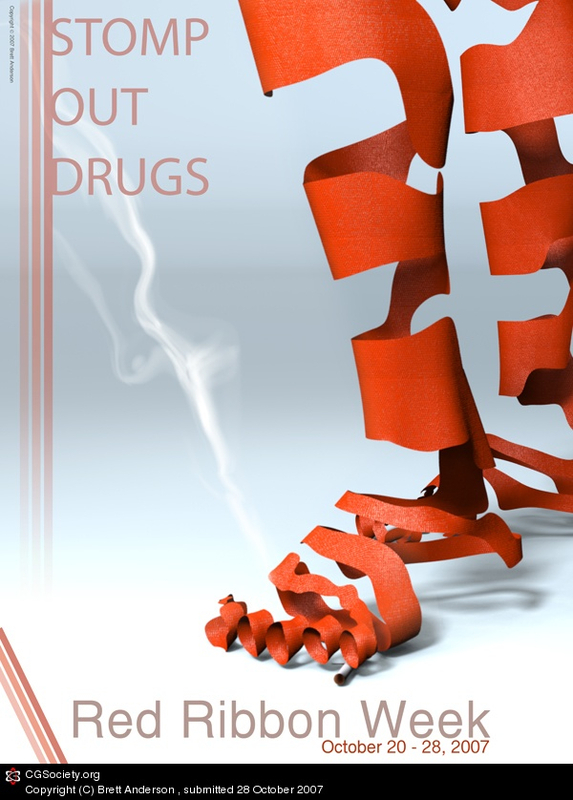 This is the final design that I came up with for red ribbon week which promotes not doing or getting into drug use. So the leg is modeled, textured and rendered in Modo 301 and everything else is photoshop. Its for my graphic design class. thanks.